At Furniture Mart USA, we’re always looking for outgoing, friendly and dedicated people to join our team. Whether you work at our corporate headquarters, in one of our many distribution centers, or at one of our 40+ retail stores, you’ll be warmly welcomed into our family. We are proud to provide employment opportunities in environments where learning and growth are abundant and hard work and results are rewarded. If you’re looking for a fulfilling new role, join our family! 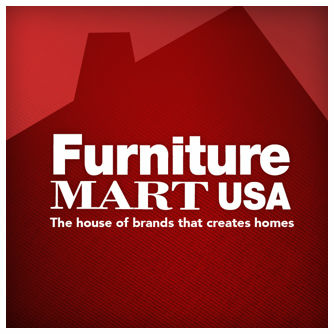 Start your career as a Sales Professional/Design Associate at Furniture Mart USA! Furniture Mart USA has grown from a single location in Sioux Falls, SD to a Top 40 Furniture Retailer with 40+ stores in 6 states, creating endless opportunities! SCHEDULE: Full-Time (40 hrs/wk) includes evenings, weekends, and holidays to ensure you are working during peak customer hours and the best sales opportunities. This schedule also allows you to schedule your personal weekday appointments and get your shopping done without fighting the crowds! WHAT IS A SALES PROFESSIONAL/DESIGN ASSOCIATE? Our Sales Professional/Design Associates are the friendly smile that greets each client as they enter our stores. They not only educate clients on their choice of furniture but will also help design their living space to make their house feel like a home. Not a problem! We have an extensive training program that will thoroughly educate you on all types of furniture and sales techniques. We will take the time to foster and develop your unique strengths. We are a stable, growing company with excellent earning potential. Our top Sales Professional/Design Associates earn over $80,000/year! We encourage a diverse workplace culture where everyone can be themselves, achievements are celebrated, and hard work and results are rewarded. $$ GUARANTEED BASE PAY RATE with opportunity for unlimited earnings through our commission-pay plan. We offer a comprehensive, paid training program where you receive the tools you need to succeed including training on our selling system, product knowledge, and computer system. EXCELLENT BENEFITS PACKAGE including Medical/Dental/Vision/Life/Disability/Flexible Spending Plan/Profit Sharing 401(k)Plan/Paid Time Off/Employee Assistance Program/Referral Bonus and more! GREAT EMPLOYEE & FAMILY DISCOUNTS on our beautiful furniture, mattresses, and accessories! BECAUSE FAMILY IS WHO WE ARE, we are closed on Easter, Thanksgiving Day, and Christmas Day to allow you to spend time with those most important to you! $$$ Earn extra income with a flexible schedule!! Join our team as a Customer Pick-Up Associate at Furniture Mart USA's Distribution Center in Sioux Falls, SD! This is an exciting opportunity for a customer-focused, self-motivated, hands-on individual who enjoys staying active while providing quality customer service! Fun, Friendly, & Clean Work Environment! Join our growing family as a Furniture Repair Technician at our Ashley Furniture HomeStore Distribution Center in Fargo, ND! If you have a talent for craftsmanship or enjoy carpentry projects, are comfortable working with your hands, and have a desire to use your artistic and technical skills then this may be the opportunity for you! WE OFFER an excellent benefits package, competitive wages, great employee discounts and more! Grow with our family as a Truck Unloader at Furniture Mart USA's Distribution Center in Sioux Falls, SD! If you are energetic, self-motivated, and enjoy staying active within a busy warehouse environment, then we may have the perfect opportunity for you! Grow with our family as an Office Associate at our Ashley Furniture HomeStore in Fargo, ND! Great opportunity to earn extra income with a flexible schedule and receive excellent employee discounts! WE OFFER great employee discounts, competitive wages, a fun & friendly work environment, plus more! We're proud to be family-owned and operated, which means we consider every employee and every customer to be part of our extended family. And that makes our mission quite simple, to help each family we meet create extraordinary spaces we would be proud to visit! And we think achieving that is pretty easy to do with our leading collection of brands that help you create your beautiful space.